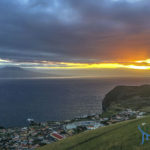 Last year, during the time of figs we flew over to the Açores (Azores). 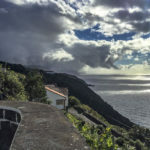 A friend had just decamped back home from Lisbon to manage her family’s business on São Jorge, and it seemed like the best idea to turn airline miles into tickets over to see her and the islands we’d heard so much about. 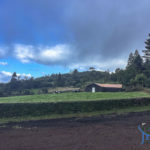 The islands were breathing a sigh of relief between hurricanes, and between raindrops we walked forest paths and sailed photos over lookouts, and admired Monte Pico from across the water and the happy cows grazing on verdant hillsides. 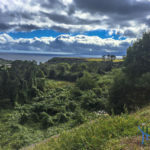 The grass vibrates the same green as Ireland and the pervasiveness of that color extends to the figs—we plucked them from the trees lining the crooked roads, the accordioned roads mounting the land up from the ocean. 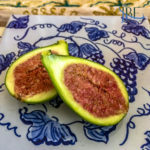 All over Portugal we’d found our figs, the first ones in the market during the height of summer. We knew they’d come from the south, from North Africa or Algarve. 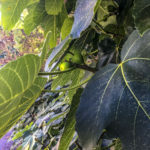 We knew because the figs lining the alley we walk to the beach were still hard green buds, growing faster in the hot summer (last year) than in this one that didn’t arrive until mid-August (2018). 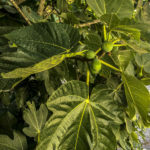 The dark figs came home precious on trays, carried carefully so as not to bruise the perfectly yielding flesh of the perfectly ripe fig. 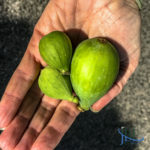 The window of this perfection lasts mere hours….before the fig dissolves into mush and mold, sugars transforming so quickly from too firm to far gone in a day. 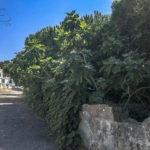 We tried those green figs in the alleyway in Praia das Maçãs; hanging in the shade, in the cool mist from the ocean, they never quite turned past the vegetal stage, the time when they taste more of leaves and stems than fruit—and so, disappointed, we only halfheartedly plucked a fig or two from our walks on São Jorge. 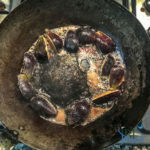 But then, biting into them, their soft pulp surprised me, the seeds in just the right balance with the flesh, the skin breaking nicely under my bite, splitting open, dripping down just a drop of sticky sap. 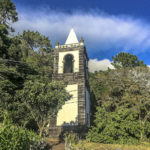 We brought back queijo d’Ilha from Lourais, one of the leitarias on the island, where it comes in several aged styles—from months to years. We liked ours cured to when it’s reminiscent of vintage cheddar, with little crystals to crunch under your teeth. Another carton of dark figs came home from the local market, from a tree in a sunnier place in Sintra, and that meant it was time for one of my favorite desserts: figs in browned butter with honey and herbs, served on plain Greek yogurt—or alongside generous slices of Ilha de São Jorge cheese. 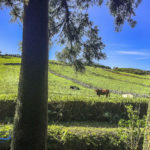 If your butter can come from the Açores as well, even better. We use herbes de Provence or rosemary from the garden. 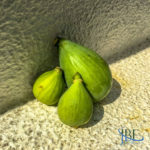 A collection of figs…which ones will be ripe? Melt butter in cast iron pan until just beginning to turn golden, over moderate heat. Sprinkle in herbs. Place quartered or halved figs, flesh down, in the bubbling butter. Cook until flesh has turned golden, then turn to cook any other exposed flesh, if desired. Total cooking time will only be about 4 minutes. Don’t allow butter to burn—you may need to lower the heat. 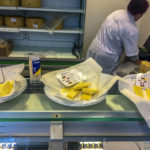 Spoon yogurt into two bowls (if using) or arrange cheese on two plates. Drizzle with honey (melt the honey for a few seconds in the microwave if it’s too cool to drizzle well). Spoon figs and herbed butter onto yogurt or cheese, and drizzle any butter left in the pan over the top. 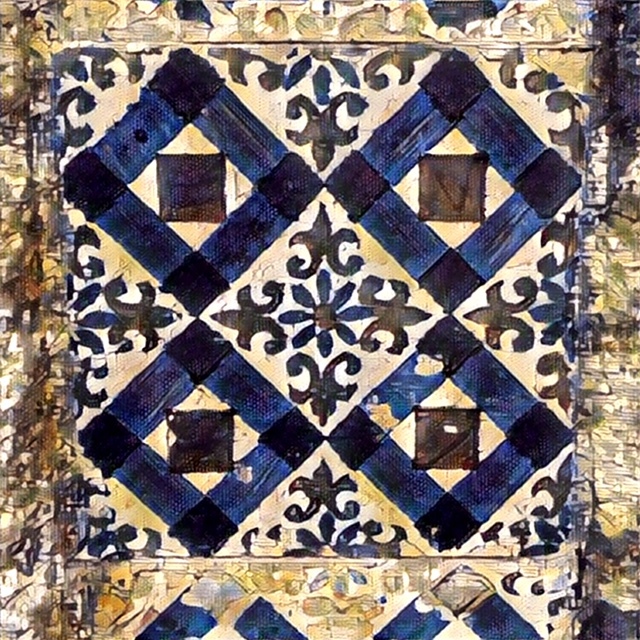 Enjoy with a glass of moscatel de Setúbal or other dessert wine.